Los Lobos has always had the feel and honesty of the blues in their collective back pockets. 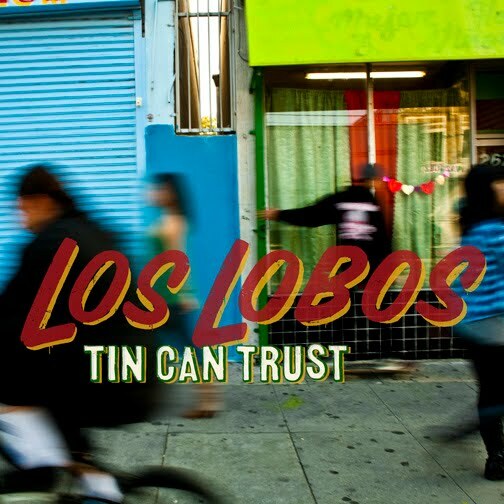 On their new album, Tin Can Trust, the first of original material in a couple of years, the band uses the blues to channel this often-gritty record to great effect. This is most obvious on the instrumental track by David Hidalgo called, “Do the Murray.” The electric guitars let loose like a cannon shot through East L.A. But the earthy feel of the title track balances the angst of the instrumental perfectly. “Tin Can Trust” is the lament of a poor man with nothing but a “tin can” with a few coins. He’s not able to buy his lady anything like diamonds and pearls, but he does have hope and the offer of love is his currency. By the time we reach track 10, “The Lady and The Rose,” Los Lobos has painted as strong a picture of spiritual torment as something out of Robert Johnson. This song tells the story of a man from the “barren slopes of a thousand hopes” suddenly finding divine intervention striking him cold in the face. It’s a powerful song and one that perfectly suits the theme of the record. 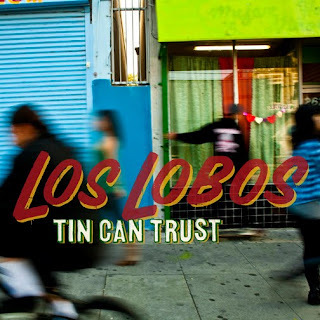 Tin Can Trust is a record with a strong “off-the-floor” sound: both earthy and gritty. Two songs from guitarist Cesar Rosas, “Yo Canto” and “Mujer Ingrata,” round out the album in typical Los Lobos style plus a concert favourite, “West L.A. Fadeaway,” that goes back to the days when Los Lobos opened for The Grateful Dead. (“West L.A. Fadeaway” is a Dead cover.) The propulsive spirit of the whole record puts you in the mood for driving a convertible through the streets. Tin Can Trust is an honest record from a band that has never been far from its roots. -- John Corcelli is a musician, actor, broadcaster and theatre director. I love the music these guys make. The one and only time I have seen them live was in a little club in LA .. Great show, tickets were cheap and you should have seen how people crowd reacted. They cross boundaries for those who love good music.